I believe that church growth is a critical ingredient for Kingdom advancement. After all, how can we reach out and touch our neighborhoods, cities, and regions without growing churches? Please reflect on the following questions: Does your weekly church attendance regularly hit what seems to be an invisible ceiling? Are you tired of today’s dismal economy affecting your church budget? If you answered “YES!” to these questions, you’ll be glad to know that help is available. My expertise is in solving your dilemmas–and I have a proven-successful history of doing so. Remember–100 new members can make a significantly positive difference in any church! The first church I pastored in my early twenties became larger than its surrounding community. Since then, I have been helping pastors turn good churches into great churches. In the previous 15 years, I have empowered hundreds of churches to experience exponential spiritual, numerical and financial growth, including some of the strongest churches in this nation. 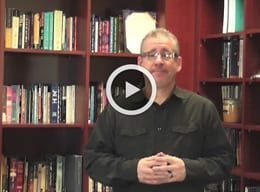 If you desire to take your church to the next level, the church growth resources I have developed will take you there. "You are the best we have ever had. The people so connected with you. And, you don't talk down to the people but uplift them. Your LQ presentation and leadership training is the best." "Keith Johnson is a certified coach, trainer and speaker for the John Maxwell Team. Confidence in oneself is the cornerstone of leadership. It is difficult for those who do not believe in themselves to have much faith in anyone else. 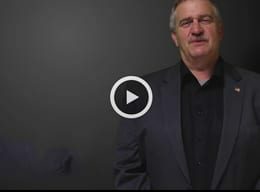 Self-confidence brings confidence in others"
Dr. Keith Johnson's leadership coaching program has changed my life and ministry. Elim Fellowship is running smother than ever and my church has seen remarkable financial and numerical growth becasue of the consulting and coaching we have received from Dr. Johnson. I would highly recommend that every pastor go through his consulting program. The investment you make will be well worth it!" "Leadership is the key! The success of your church, your business, your ministry and your family is dependent on the quality of leadership in each. 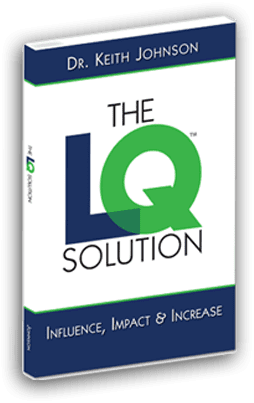 In his insightful and powerful book, The LQSolution, Keith Johnson provides a comprehensive look at the vital need for leadership and practical ways to become a more effective leader. Read this book thoroughly and with much consideration - your own leadership will determine your legacy." 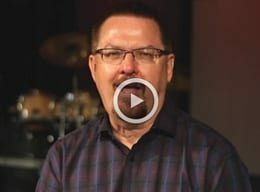 Dr. Dave Martin | America’s #1 Christian Success Coach and author of "Twelve Traits of the Greats"
"...This book and consulting program are vital tools for leaders who want to develop a compelling strategic plan for the future. If you are serious about turning your dreams into reality—read and study this book." 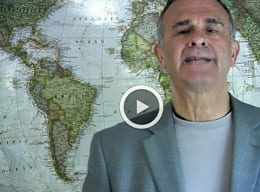 Please choose subjectI am interested in booking Keith for our eventI am interested in coaching with Keith JohnsonExplode Your Business Coaching ExperienceLeaders of Destiny Coaching ExperienceQuestions? Need more info?